Organic fibrous materials can be found in everything from clothing and bedding to rugs and shower curtains. The benefits of buying products made from organic materials are abundant. Protecting the environment and your family from harmful chemicals is likely to be the primary reason for you to go organic. Fortunately, organic materials are in more places than you might think, and they come in more forms than you are probably aware of. This article will show you several types of organic fibrous materials, their benefits and what products you are likely to find them in. Organic fibrous materials are produced using organic practices. This means that farming practices are environmentally friendly because the soil is kept healthy and no harmful chemicals are used on crops. The farm that is producing these organic fibers must meet strict standards before they can be certified as organic. Standards are also in place to cover the processing of these organic fibers into organic textiles. These standards cover everything including handling and processing, fabrication, storage, transportation, pest management and labeling. Here's a rundown of some of the organic materials that are available to consumers today. Organic wool is a small but growing industry. Wool is collected from farm-raised animals such as sheep, llamas and alpaca. These wool fibers are used to produce bedding materials like comforters and things like mattresses and futons. Traditionally, fibers used to make these products are treated with harmful chemicals like fire retardants, formaldehyde and bleach. Wool does not need these chemicals because it is naturally able to resist bacteria, mold and mildew as well as having natural fire retarding qualities. Hemp produces an amazing fiber that is four to six times stronger than cotton. In addition, the fiber is longer, more absorbent and has a higher insulating value than does cotton. If that isn't impressive enough, consider that hemp is grown with no need for pesticides, fungicides or herbicides.Clothing made from hemp fabric is naturally hypoallergenic. In addition, hemp offers natural UV protection and its insulating qualities make clothing made from hemp warm in the winter and cool in the summer. Rugs are also commonly made from hemp fibers because they are so durable. Paper can be made from hemp fiber as well. Did you know that the Declaration of Independence was written on hemp paper? 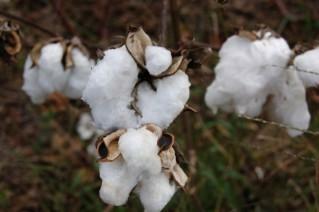 Conventionally grown cotton uses millions of pounds of chemicals each year. Organic cotton is quickly catching on with consumers and manufacturers alike. In fact, Patagonia, an outdoor clothing company, pledged in 1996 that they would never go back to using conventionally produced cotton for their products. For consumers like you, this is fantastic news. Organic cotton clothing isn't the only product taking advantage of this trend. Organically grown cotton is found in everything from personal hygiene products and diapers to home furnishings and linens. Organic fibrous materials come from other places as well. For example, a tree native to Asia called the Ceiba tree produces a cotton-like substance in its seed pods called kapok. This fiber is formed as a cellulose tube with air sealed inside. Naturally buoyant, supporting 30 times its own weight in water, as well as being insulating, rot-resistant and hypoallergenic, this makes an ideal material for water-safety equipment like life jackets. It is also wonderful for filling pillows, especially if you are allergic to down. Clothing is also available that is made from a blend of organic cotton and soybean fibers. With so many earth-friendly choices available to today's consumers, why would anyone want to purchase products that are not made from organic materials? For more information on organic fibers and companies that use them in their products, check out The Hemp Industries Association, Sustainable Cotton, and The Organic Trade Association.